When the Western Australian Government introduced stringent wheat production quotas in 1970, they came as a harsh blow to the Casley family who, at the time, had 9,900 acres of wheat ready to harvest. Under the new quotas, the family was permitted to sell only a measly 99 acres of their produce. The Casleys have since claimed that it would have taken 500 years to produce the same amount of wheat that they had produced in the previous 20 years. When the quotas were first introduced, five local families banded together to protest the restrictions, but their pleas went unanswered. Eventually Leonard Casley appealed directly to the Western Australian Governor, Douglas Kendrew, whom he viewed as the Queen’s Western Australian representative. By extension, Leonard held the Queen responsible for the quotas and for the misfortune they had wreaked. Refusing to accept the quotas, Leonard became embroiled in legal battles with the Western Australian Government. He attempted to make financial claims under the law of tort and the law of unjust enrichment, but his efforts were in vain. When all else failed, Leonard made the drastic decision to secede from Australia in April 1970. He claimed that international law permitted him to do so, though the validity of the secession has been widely disputed ever since. On one occasion within a year of his secession, Leonard was referred to as the ‘Administrator of the Hutt River Province’ in correspondence with the Governor General’s office. He took the use of this title as formal legal recognition of the micronation’s independence. Shortly thereafter, Leonard gave himself the title ‘His Majesty Prince Leonard I of Hutt’ in a move that sought to take advantage of the British Treason Act of 1945, which stated that ‘de facto’ sovereigns couldn’t be guilty of treason against the British throne. 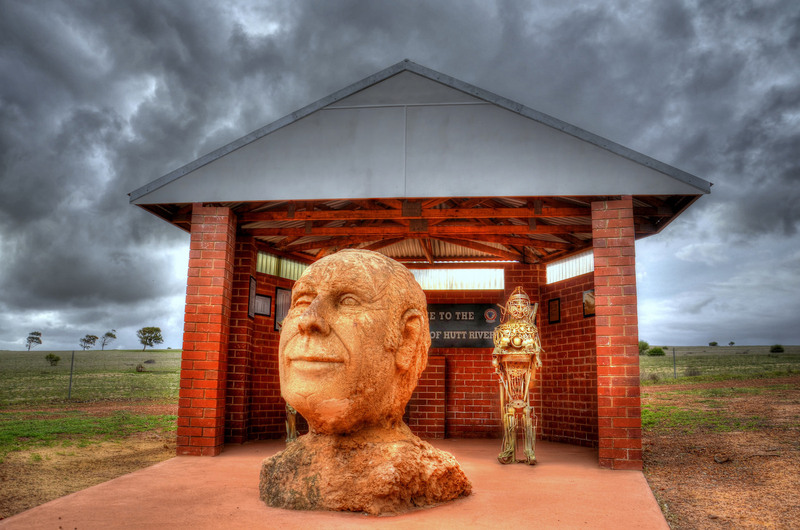 The Australian Tax Office has hounded the Principality of Hutt River over the course of decades, ordering Leonard to pay millions in uncollected tax dollars. According to the official Principality of Hutt River website, the micronation thrives on an economy of agriculture and tourism, with thousands of visitors making the trek each year to see Australia’s country within a country. Header image, unmodified: Bust of Prince Leonard. Image courtesy of Chris Fithall/Flickr/Creative Commons.